Hylton Group will close its Renault and Dacia dealerships in Cheltenham and Worcester at the end of this month following the recent closure of its Nissan franchise. The imminent closure of the facilities in Manor Road, Swindon Village, Cheltenham, was been confirmed to customers, according to reports from Gloucester Live. The online news platform said that the Nissan dealership had closed on March 2 after the retail group lost its franchise with the Japanese brand. In a statement issued at the time, Hylton Group said: "It is with great regret that we have to inform you that as of March 2 we will no longer be a Nissan franchise. City councillors in Worcester, meanwhile, have expressed concerns for staff from Hylton Renault Worcester, in Bromyard Road, who face redundancy following its scheduled closure on Friday (March 23), according to a report in the Worcester News. 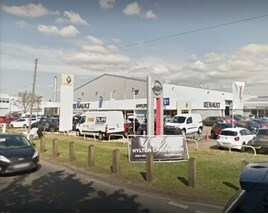 The fate of Hylton Group’s remaining Peugeot and Suzuki dealerships in St Peter's, Worcester, remains unclear, the newspaper said. In its last published accounts, to December 31, 2016, Hylton Group recorded a 15% rise in turnover to £42.9 million and a profit before tax of £250,000 which followed a £101,000 loss in 2015. AM has approached Hylton Group for a comment on the closures.